At CRW Engineering Group in Anchorage, managing partner Mike Rabe said his firm has been scrambling for work. The projects available to chase the last couple of years have been on the small side, he said, often focused more on maintenance and improvements rather than entirely new ventures. "We've had to work harder than ever. Competition is high and there's not a lot of work out there," Rabe said. As a result, his firm spends more money and time up front to become more knowledgeable about the projects it tries to win. There haven't been layoffs, Rabe said, but profits are down. About two years into Alaska's recession, many businesses are still feeling the pain. Almost every industry continues to lose jobs, according to preliminary job estimates from the Alaska Department of Labor and Workforce Development. But the state's over-the-year job losses have gradually slowed this year, and some economists cautiously say that the worst hit of the current downturn may have already passed. "I think the major job cuts are behind us," said Mouhcine Guettabi, an assistant professor of economics at the University of Alaska Anchorage Institute of Social and Economic Research. "It's just that the new normal is going to be somewhere between 10,000 (and) 15,000 jobs fewer than where we were at in 2014." Alaska's current recession started in the last quarter of 2015, amid tumbling oil prices and a state budget deficit. "There's a good chance it's easing up," said economist Neal Fried of the state labor department. Based on data economists have so far this year, job losses seem to have slowed in some of the hardest-hit industries: oil and gas, construction, and professional and business services (which includes law firms, engineering firms, advertising agencies and more). The most significant decline of the downturn was in the fall of 2016, when Alaska saw a 2.6 percent job loss, according to the labor department. Projecting jobs numbers can be tricky, and preliminary estimates from the labor department can later get revised. At the beginning of this year, the state said job losses in 2017 could be worse than last year's. "It's really hard to say. The downfall of economists is, we just need more data. It's tricky to tell where we are right now," said Karinne Wiebold, another labor department economist. "There's reason to believe if '17 is better than '16, '18 might be better than '17. But that's all really speculative and can change." The state lost about 6,500 jobs last year, and continues to shed them. In October, employment in the state was down about 1.3 percent (about 4,100 jobs) compared to the same month last year, according to the labor department. Oil and gas jobs were down 7.8 percent, and construction jobs were down 7.2 percent. Health care is the rare sector that has seen job growth, at 2 percent in October. Big losses in the oil patch and state government last year have since rippled through other sectors of the economy. "I think we are still seeing the 'multiplier' effect of that initial wave of job losses, the one that hit oil and gas hard and state government and construction," said Guettabi. "I think as expected, it spread away from those sectors, into ones that are more dependent on household spending." From his perspective at CRW, Rabe said he hasn't noticed any discernible improvement in business this year compared to last year. 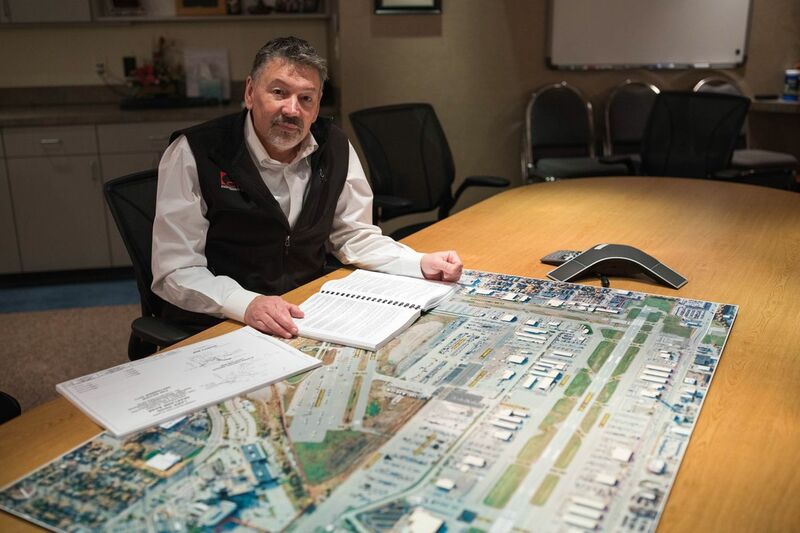 Bill Popp, president of the Anchorage Economic Development Corp., said that while the state isn't out of the woods yet, he hears chatter in the business community that the decline seems to be softening. "There was a legitimate fear: 'Is this going to be the '80s again?'" he said, referring to Alaska's huge crash — also closely tied to oil prices — in 1986. "And now what we're starting to see is the realization that while painful, the recession is not quite the end-of-the-world recession that some feared it would be." October was the 25th consecutive month of job losses in Alaska, according to the state labor department. That's how many months of job losses Alaska saw during the 1980s recession, though the magnitude of the damage was much larger then. At Mammoth Music, the shop on Fifth Avenue in Anchorage that sells guitars and other instruments, the downturn is just one more challenge on top of a yearslong battle against the internet. "From my perspective, it's just further exacerbating the problem we're having with online sales, specifically Amazon," said owner Forrest Jackson. "It's kind of like a double whammy." For every guitar his shop sells locally, he estimates Amazon is probably selling about 20 to 30, and he's planning to launch a delivery service to compete with that. Some businesses that target lower prices are faring well. At Anchorage retailer Dollar Zone, co-owner Deb Parker said sales have continued to increase. 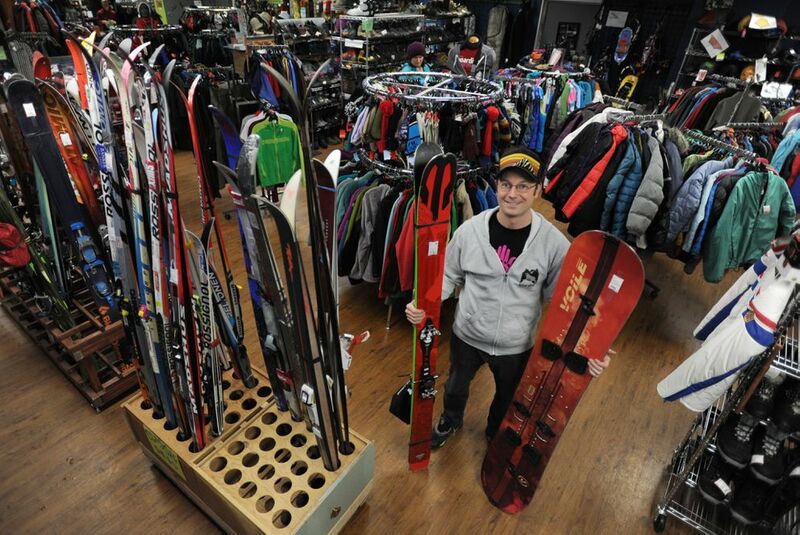 Sales are also up at the used outdoor clothing and gear store the Hoarding Marmot, said owner Dana Drummond. "I think people are generally happier to pay less for something that is going to work just as well as something new," he said. The Hoarding Marmot is in a unique position because it's nearly 3 years old: Most of its life has been during the recession. "We do see people from the oil and gas industry who are maybe expensive for the company and they've taken an early retirement — we see a lot of people trying to sell the insulated workwear," Drummond said. Anchorage restaurant Roscoe's Soul Food has become so hard-pressed to get people in the door that it recently made a desperate plea on Facebook, telling followers, "We need you to survive! As we are trying very hard to stay afloat." "It's very, very slow," said manager Roscoe Wyche III. "Now that the tourists have left, we're looking to local support." Alaska USA Federal Credit Union has seen an uptick on collections for car loans, said senior vice president of corporate administration Dan McCue, but nothing he would call alarming. "It's not like there's a big spike," he said. "It's not like the '80s." Popp, at AEDC, said he's heard from retailers and big landlords that spending in general is down, though that's impossible to measure without a sales tax in Anchorage. "Until (the Legislature) gets their act together and gives us clarity on what the picture is going forward on state government and state taxes," Popp said, "I think we are still at risk of seeing this recession continue to stretch." In November, state lawmakers ended a special session without taking action on a tax proposal aimed at closing the state's multibillion-dollar budget deficit. Typically, Fried said, economists determine the end of a recession by when the job losses end or become marginal. But, he added, "the end of a recession and recovery are two different things."